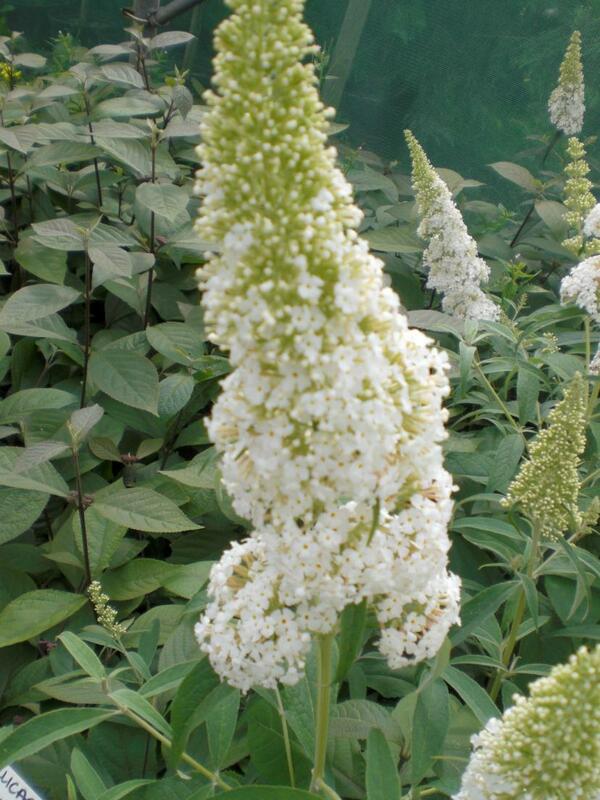 Buddleja White Profusion is a large bushy deciduous shrub with weeping branches of narrow grey-green leaves. Long panicles of scented white flowers with a yellow eye from spring through to autumn. Best if pruned hard in Spring. Hardy. Can be planted in full sun or part shade conditions. Tolerant of most soil types. Eventual height and spread up to 2.5 to 4 metres.